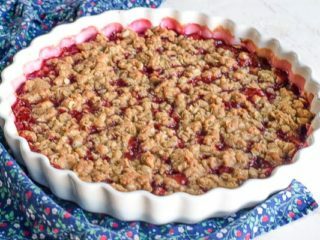 Celebrate summer with this delicious recipe for plum crisp. 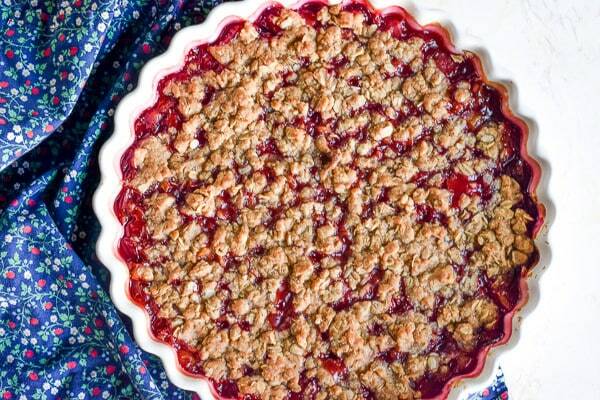 This recipe takes fresh plums to the next level with a deliciously crisp topping made with rolled oats and brown sugar. The house we moved into last year has over a dozen fruit trees. It’s a home baker’s heaven. Or a mom’s heaven. Luckily, I’m both. My kids love fruit. My son especially. He can easily eat 3-4 pieces of fruit in one sitting, so it’s really nice to know we will have access to freshly grown fruit in our backyard every year. One of the trees nestled in the back of our property is a little fruit tree. It must be a dwarf variety because I can actually reach the fruit on the top branches (a huge accomplishment for my 5-foot tall self). We discovered it just days after moving in last summer because it was covered in ripe plums. This year, I knew to expect them around our 1-year housiversary, so I planned accordingly. My kids inhaled about half of the harvest (kids eat so much during summer vacation, ha!) and I set out to experiment with the rest. 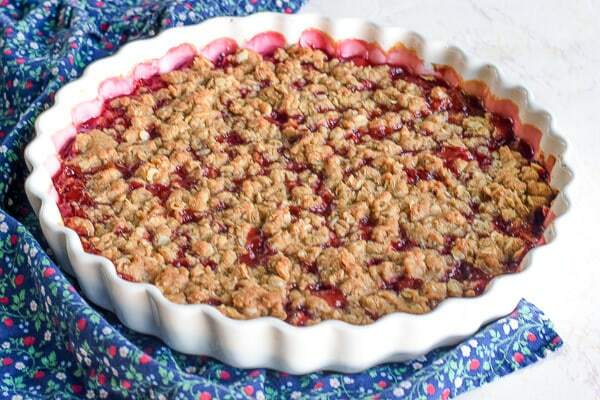 My favorite thing (so far) to make with fresh plums is a plum crisp. Like a peach cobbler, this plum crisp recipe calls for plums to be tossed in sugar and cornstarch. Then, I top the sweetened plums with a crisp topping made of rolled oats, sugar, flour, melted butter, and seasonings. The resulting plum crisp makes a perfect combination of sweet-tart that is perfect for those hot summer nights. Place chopped plums in the baking dish and toss with granulated sugar, 1/2 cup brown sugar, and cornstarch until coated. In a medium bowl, whisk together the rolled oats, flour, 3/4 cup brown sugar, cinnamon, nutmeg, and salt. Slowly pour in the melted butter, mixing with a fork until it turns crumbly. Pour the topping mixture over the plums. Gently move it around with your hands until it evenly covers the plums. It's okay if the plums are not completely covered. 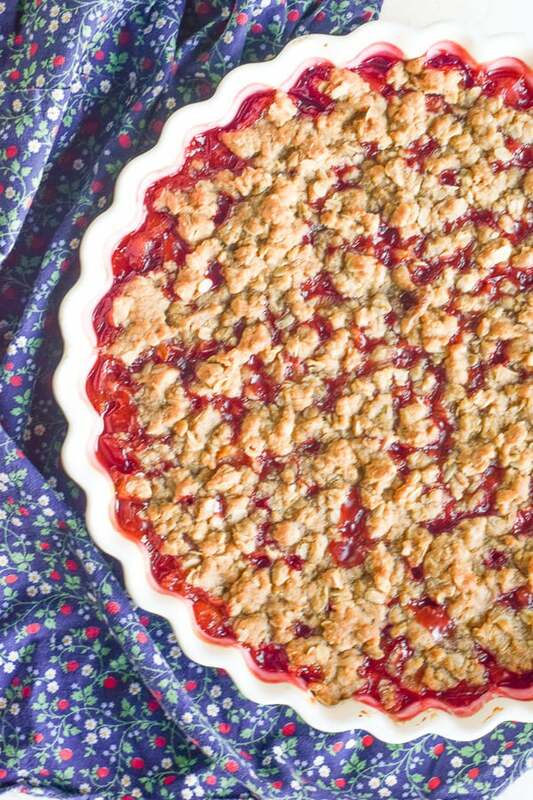 We loved incorporating our backyard goodies into a delicious dessert recipe for plum crisp. It’s definitely going on our to-do list for next year!